First Deputy Prime Minister Sergey Ivanov says Russia is under no obligation to reveal the information it has learned from recent Arctic expeditions. Ivanov told journalists on Friday that Russia’s claim on the territory has both political and economic implications. He also said the project of mapping the area and assessing its mineral potential would be of great value to Russia once completed. “The process of creating the database, which the Russian cartography is meant to do, is very slow. The task was obviously underestimated and consequently the wrong method was used”, he said. He also urged commentators not to underestimate the political implications of Russia’s claim. “I also want to draw your attention to the fact that it's inadmissible to restrict yourselves only to the economic aspect of the shelf development. There is no doubt the task of prospecting and developing new hydro-carbon deposits and minerals as well as new areas of sea bio-resources is indispensable. The political aspect is no less important,” Ivanov said. The First Deputy PM went on to say Russia strictly adheres to international law with respect to the Arctic shelf. “On this our country has always acted in strict compliance with international law and the commitments we have undertaken,” he said. In addition, Ivanov believes Russia should not offer the information on the Arctic shelf to the world at large for free. “You cannot evaluate the cost of information and this data belongs to us and no one else,” Ivanov said. Five countries – the U.S., Canada, Denmark, Norway and Russia – claim rights over the territory. 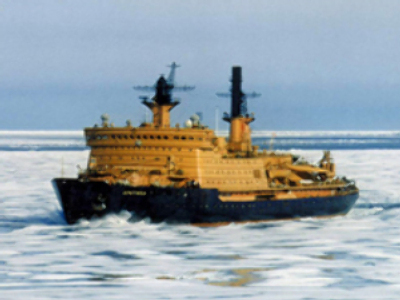 In May, 2007, Russia launched a scientific operation called “Arctic 2007”, aimed at proving the Arctic sea shelf is a continuation of Russian territory. Russia became the first country to plant its national flag on the bottom of the Arctic sea in the geographical North Pole.